Kabuto is a light-weight tool designed to bring recurring business back to your repair shop. Installing Kabuto on a device allows you and the device owner to be notified of issues, and facilitates communication to get the device repaired as quickly as possible. 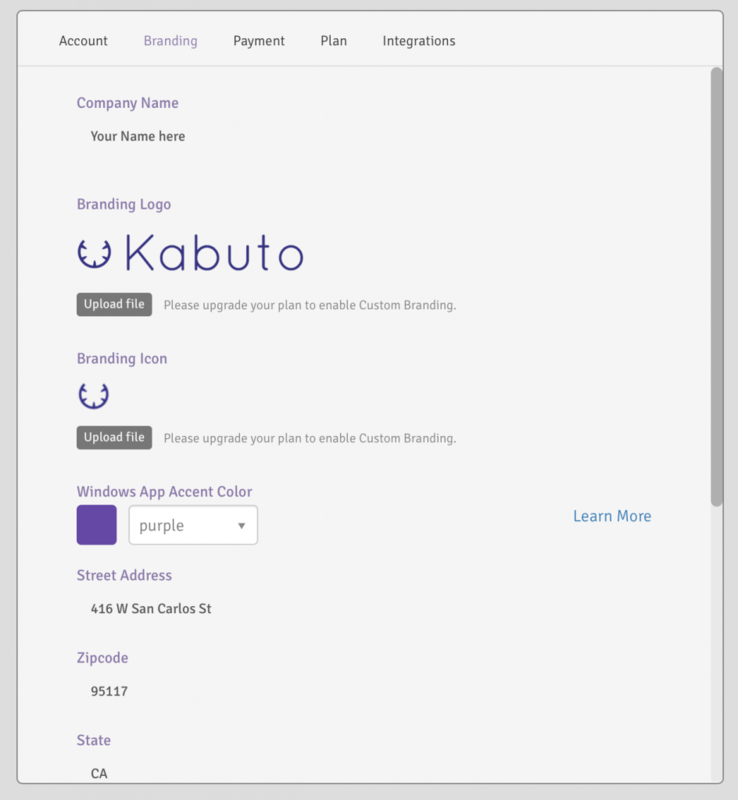 Create an account via app.kabuto.io and login to your Kabuto Dashboard. Click the “Download Installer” button in the top right corner of the Kabuto Dashboard and select Standard Installer. Run the Kabuto Installer with administrative privileges. Select the appropriate Customer and add in the device owner’s contact information.Note: It’s advisable to create the Customer on the Kabuto dashboard ahead of time to make adding customers easier. Adjust the triggers the Kabuto client will track on the device. By default all triggers are activated. Monitoring is turned off by default; when turned on, it will notify the technician to detected issues. If left off, when the customer sees an alert from Kabuto, they will be presented with a readable alert description along with guidance on how to best contact the technician. After this point, the Kabuto client will be installed and will send initial scan results to the Dashboard. A corresponding device entry should now be visible on the Devices page showing the current status of all triggers. After the Kabuto client has been installed on a device, it will monitor for issues and alert the customer if any issues are detected. The alert will look similar to the one pictured below. 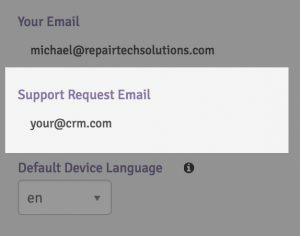 When the device owner recognizes the issue and left clicks “Request Service,” they are presented with the Request Form seen below. This expanded form will allow them to review their contact information and send you a request for service. -t, --triggers - Activating all triggers will can be done by adding -t To activate specific triggers, see "Specifying Triggers" below. All triggers are turned off by default. The above example is missing other standard setup parameters such as key, name, email, phone, comp name, etc. A full setup command with the same triggers might look more like this. KabutoSetup.exe --customerid 12345 -n "Samwise Alt" -e "salt@repairtech.com" -p "123456789" -c "RepairTech" -t no_av, defrag, app_crash -i "C:\Program Files (x86)\Kabuto"
The Kabuto Standard Installer gives you a great way fully set up a new Device you’re working on. The interface gives you full control of each of the settings for a device. To download, head to your Dashboard, click “Download installer” and select Standard Installer. Note: This is designed for technician use only and it is advised that this isn’t distributed to customers. The Kabuto Customer Installer gives you a great way to distribute Kabuto to your customers. The interface is simple, specific to an existing customer and user-friendly. 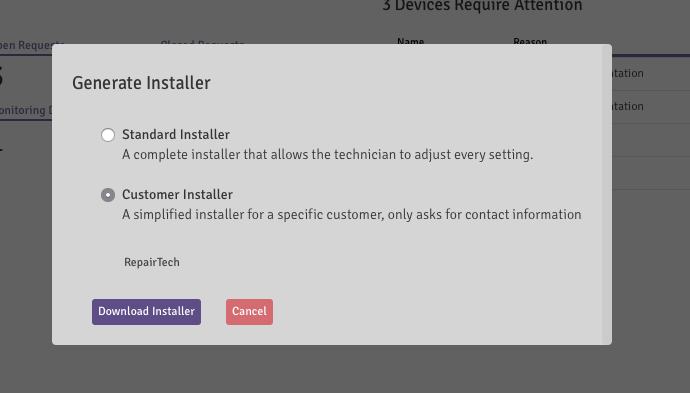 To use the installer and distribute it to your customers, navigate to your dashboard, click “Download Installer”, select “Customer Installer” and select the appropriate customer. When they use the installer, it will only ask them for their contact information, rather than giving them all the options that Standard Installer provides. This is a great way to get your customers to install Kabuto for you. 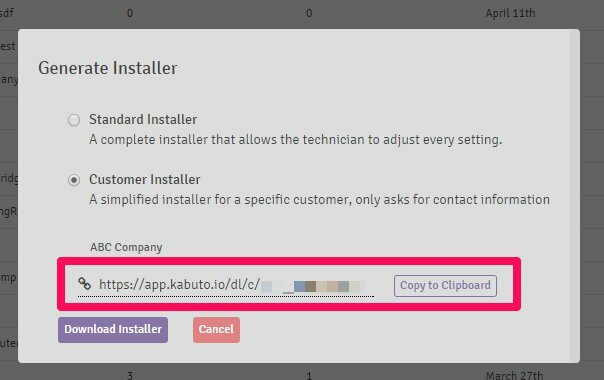 Press the “Download Installer” button on your Kabuto Online Dashboard. Select a specific Customer, and then copy/paste the link provided. 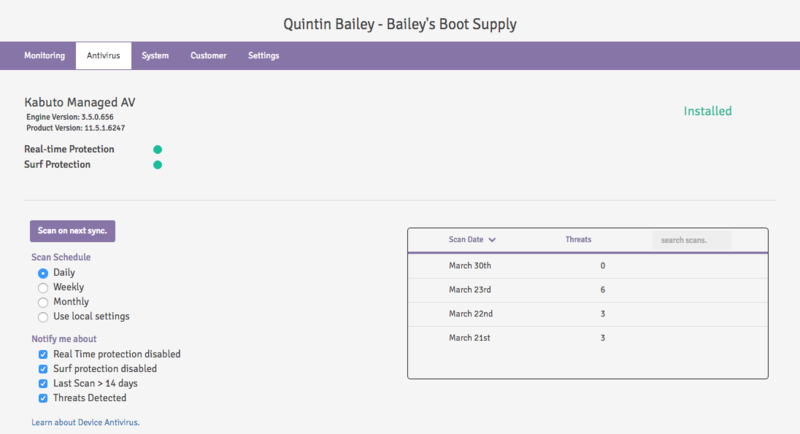 Go to the “Customers” page on your Kabuto Online Dashboard, and then select a specific Customer. Once you’re viewing that Customer, go to the Settings tab, and copy/paste the link at the bottom of that tab. Put simply, triggers are the conditions that the Kabuto agent monitors on a device. All activated triggers are scanned on regular 6 hour intervals to minimize overall CPU load. Once a trigger event occurs, a corresponding alert will appear to the device owner. Custom Timer – The customer can receive a recurring alert saying “Just checking in, feel free to let us know if you have any questions”. This message will soon, but is not currently customizable. The interval (measured in days) is editable from the dashboard. The default is set to 90 days. If you would like to request additional triggers, please submit a feature request via by submitting a ticket. Customers are the top-level of Kabuto. Devices belong to Customers and as such Customers are required to exist before (or as part of) device creation. Viewing information from a Customer page allows the tech to focus down on the information pertaining to only that group or company. Customers have the contact information Name/Company, Phone, and Email. As more and more devices are set up, they will immediately appear on the Dashboard. 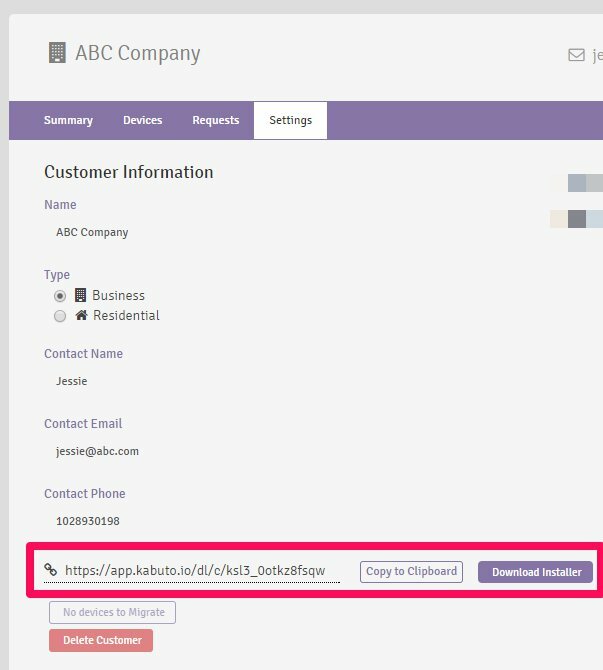 Devices belong to Customers but also contain their own contact information including Name, Phone and Email which can be viewed by viewing the device (double-clicking the row or clicking “View”). The Devices table can be sorted by Creation Time in ascending or descending order. Additionally, it is possible to view devices with the statuses: Active, Inactive,Monitoring On/Off, Customer Installed. Both sorting and views are found in the top right of the main-pane. The “Status” column displays color-coded icons, which refer to the device’s Upgrades(see below): Monitoring and Managed AV. The actions you can perform on this page are turning on the various Upgrades (Shield and Eye Icon) for one or many Devices and also transferring them to a different Customer (horizontal arrows). Tip: To select devices, simply click the device with your mouse. To select multiple devices, both CTRL and SHIFT can be used to do so. The device’s latest information can be viewed along with contact information and Notes on the customer. The Monitoring tab in the side-pane displays all active triggers, monitoring status, and a timestamp from the last update. 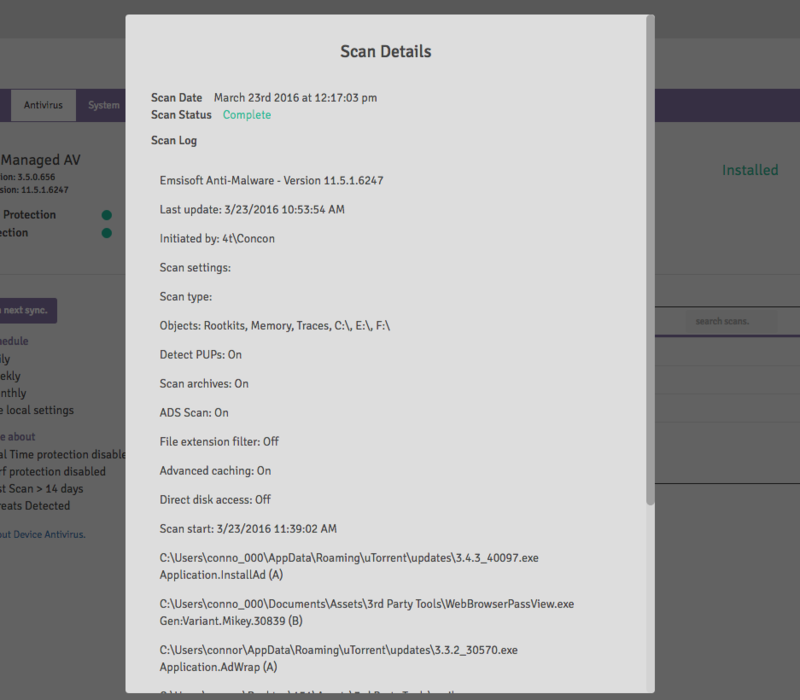 The Managed Antivirus tab in the side-pane displays automated scan preferences, logs from previous scans, and status of Emsisoft’s protection components. The Device Information tab in the side pane displays the device owner’s contact information. To edit this information simply click on the field and update the content. A checkmark will appear to the right of the field once it is saved. If you no longer want Kabuto to run on a selected device, you can deactivate it. This will prevent Kabuto from showing alerts to your client on their device. You can always re-activate a device after you’ve deactivated it. Each of the boxes above are a trigger. You can choose which trigger will show an Alert to your client via the Kabuto Windows App when the trigger has an event. You may want to disable certain triggers here if you only want to monitor the client’s device, rather than have them Request Service. Deactivating a device – Navigate to the desired device’s Settings tab and click “Deactivate”. The device will be removed from the Active list and put it in the Deactivated list. Reactivating a device – Navigate to the desired device’s Settings tab and click “Activate Device”. The device will re-added to the Active list and triggers will be reset on the Kabuto client. Adjusting Active Triggers – Navigate to the Settings tab of the desired device and either check or uncheck the box next to the appropriate trigger. The changes are saved immediately and reflected on the Kabuto client. Update device information – To update the name, company, email, or phone information on a device, navigate to the Device Information tab and simply click the appropriate field. Modifications are saved immediately after clicking outside of the field. Kabuto normally syncs once every 6 hours, or on restart. However, you can force Kabuto to Sync by going to your Kabuto Online Dashboard, and then going to any device. Click the “Force Sync” button. 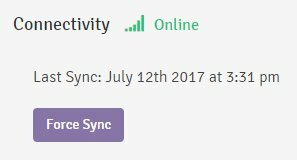 This will tell Kabuto to immediately start syncing, and will put a little number next to the Connection Status. This number will go away once Kabuto has finished syncing. This can take a few minutes, or up to 30 minutes if you are trying to install Managed AV during that sync. 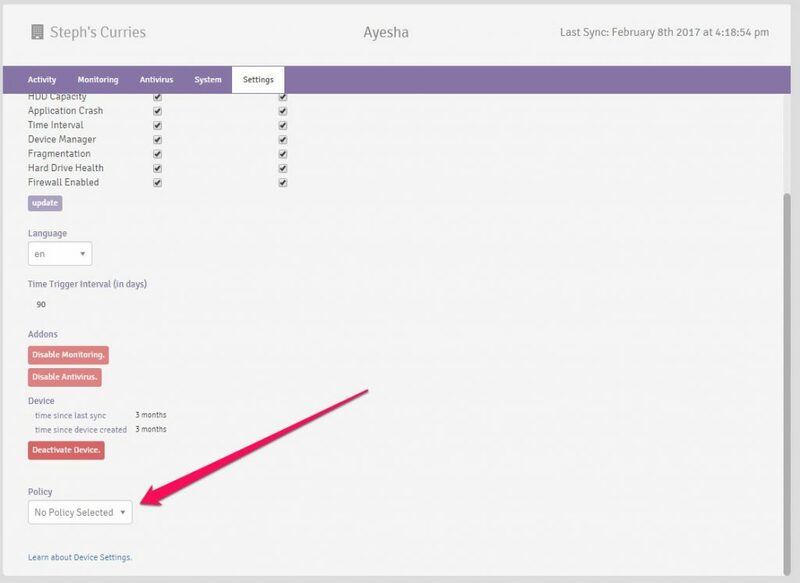 Policies are templates for device settings that you can use to set preferences, customize upgrades or change settings in bulk. This feature also makes adding new Devices much easier. You can create a Policy and specify your device settings, then simply apply that Policy to Devices as you see fit. Then you can modify changes to the Policy and it will change the settings of all related Devices in bulk. To make a new Policy, head over the “Policies” page, and click the New button, shown below. Once you’ve saved your Policy, you can apply it to Devices. There are two ways to apply a Policy to a Device. 1) On the Devices page, select one or more Devices, and press the Policy button. 2) On a particular Device’s Settings page, select the Policy. You can also set a Default Policy to a Customer. This will automatically apply the Policy to all new Devices that you add to that Customer. It does not apply the Policy to existing Devices under that Customer. 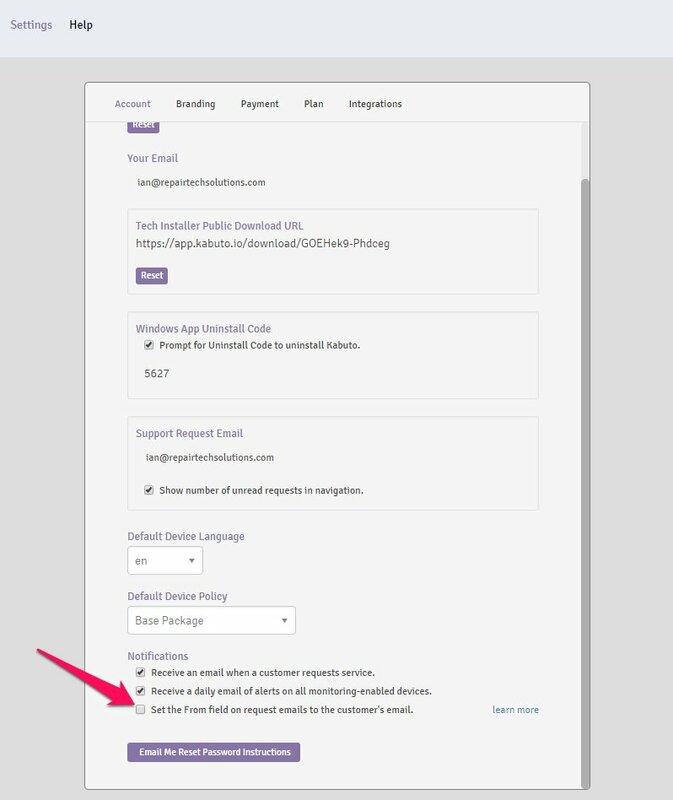 You can set the Default Policy in the Customers’ Settings tab, or from the Customers page. If you change any settings on a Device that has a Policy applied to it, Kabuto will let you make the changes, and remove the Policy. 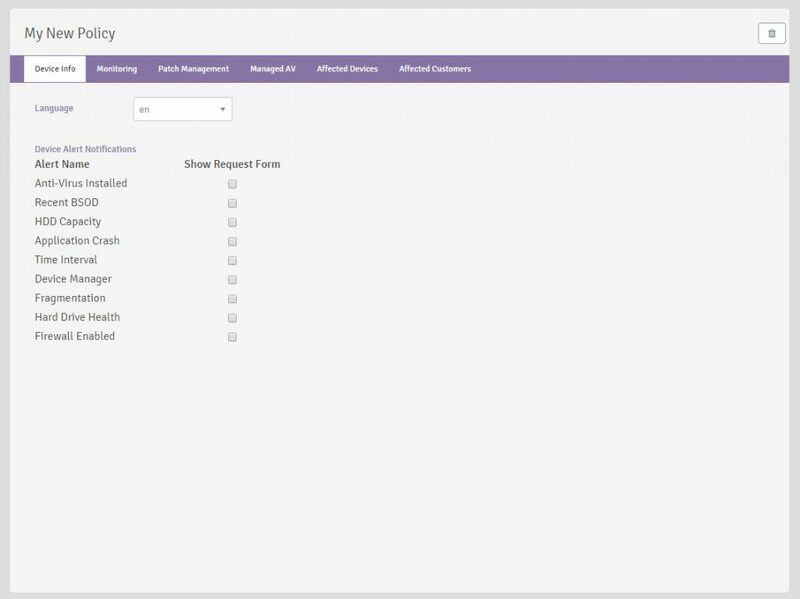 You can set the Default Policy for your entire Account by going to the Settings page. 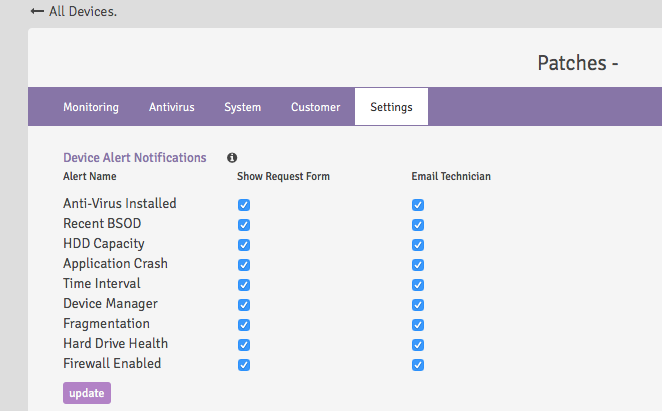 When the Kabuto client triggers an alert, the device owner has the option to Request Service; if acted upon, the alert will send a Request for Service to the Requests page on the Dashboard. A corresponding email notification will be sent to the technician summarizing the devices trigger events. Up-to-date device-owner information is provided for the technician to reach out to the owner and support their Request for Service. Monitoring allows you to see what issues are affecting your client’s devices and proactively contact them, rather than waiting for them to Request Service from you. As mentioned above, Monitoring notifies you when a client’s device needs attention. The majority of technicians using Monitoring will resell it as a service to their clients. Clients win by receiving faster repairs, quick access to support, and a higher quality of service overall. Technicians win by knowing client’s issues ahead of time and having access to the device, it’s status, and specs. Monitoring pricing is simple and clear, $0.50/mo per Device. This makes it very easy to see how it will impact your business and if it is the right decision for you and your shop. Techs using Kabuto typically resell a Monitoring package for $5-$15 per month to their clients. With that range, the additional revenue is $54 – $162 per device per year of net profit. For a more detailed breakdown on Kabuto’s ROI, feel free to look over our guide Getting Started with Kabuto. When the Kabuto Windows App detects an issue, it creates an alert on your dashboard. This will turn the circle next to that trigger red. The screenshot above shows three alerts. You can view more information about that particular alert by clicking “view alert”. You’ll receive an email every day (sent to your account email address) with a summary of your Monitored devices. This daily summary email will include all problems on all Monitored devices unless you specify otherwise. Note the “Email Technician” column on the right. In this case, even if a Device Manager problem occurs, it won’t be included in this tech’s daily summary emails. This is handy for silencing certain types of alerts. Note also that in this case, all of the items in the “Show Request Form” column on the left are unchecked. This technician’s client will never receive pop-ups from Kabuto – instead, the technician will be notified about the problem first, and then decide whether or not to contact his client. Setting the Windows update schedule in the Kabuto Dashboard is very simple. Head to your device’s page and select the Monitoring tab. Then in the top-right corner, find the button that says “Edit Schedule.” The default value Windows sets for this is 3AM. Your change will be sent to the device on next sync. A note about this feature. This is the first of a two part update. The second update, coming early 2017 will allow for specific control over which Windows Updates are applied along with using an entirely independent update system to replace the Windows Update Service. Turning on Patch Management is simple. Visit your Device page and select the desired devices. Next select the button and click “Manage All Applications.” This will automatically keep all available applications up to date on those devices. 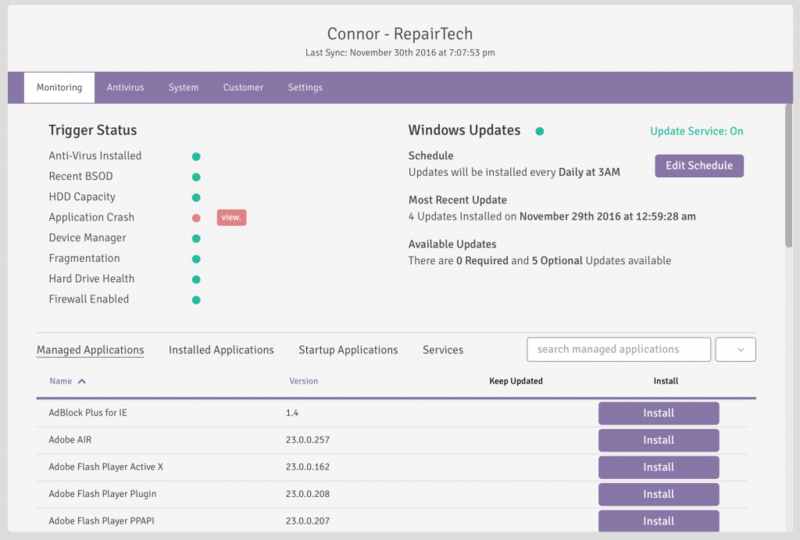 If you would like to select which applications should be installed or kept up to date, navigate to the individual device and look towards the bottom of the page. On the “Manage Applications” tab you can install new applications and also keep core applications up to date. Any application that is installed on the device will automatically be set to be kept up to date. To manually select which applications should be kept up to date, first select a device and click “View”. Next, selected the “Monitoring” tab and scroll down to expose the desired program. Finally, either check or uncheck the appropriate boxes in the “Keep Updated” column. On each Kabuto sync, it will check for out of date apps and update them if necessary. Out-of-date applications will be colored red while up-to-date applications will be colored black. If an application fails to update, you will be notified via the Daily Summary Email. Patch Management also has the ability to install new applications to the device. This installation process requires only pressing the “Install” button found on the Monitoring > Managed Applications tab. After clicking “Install” the application will be installed to the device on next sync. The application will also automatically be managed from that point on. 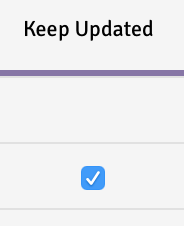 This is indicated by the checkmark under “Keep Updated”. As of now, Kabuto cannot uninstall applications remotely. Note: This list is consistently growing. To update devices to keep all new available applications up to date, navigate to the dashboard and select the appropriate devices. From there, Toggle Patch Management Off and then On again. While these are unexpected, if you experience any issues with Patch Management, please follow the instructions below to attempt a resolution. Restart the device. Soon after the system reboots, Kabuto will re-attempt the installation. If Kabuto can’t update the application at this point, more investigation will be required; again, please contact support@repairtechsolutions.com. Managed Antivirus adds licensed copies of Emsisoft to your customers’ devices, and activates the “Antivirus” tab for those devices. You can do this on 1 device at a time, 10 devices at a time, or 100. There is no minimum for the upgrade, and there is no maximum. 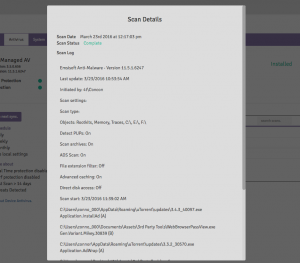 Review scan logs to understand threats, scan duration, etc. At $2 per month per device, it can provide a mutually beneficial service to your customers with a healthy profit margin. 1) Enable Managed AV via the Kabuto Installer and wait for Kabuto to sync. It will then install Kabuto automatically. 2) Enable Managed AV via the Kabuto Online Dashboard and wait for Kabuto to sync. It will then install Kabuto automatically. 3) Manually install EAM on the device, and then turn on Managed AV from the Kabuto Online Dashboard. On next sync, Kabuto will detect that EAM is already installed. If you installed EAM using method (1) or (2) above and then disable Managed AV or uninstall Kabuto, Kabuto will automatically uninstall EAM. We’ll also automatically expire the EAM license within 24 hours. If you installed EAM using method (3) above, and then disabled Managed AV or uninstall Kabuto, we’ll leave EAM installed, but expire the license within 24 hours. NOTE: If you’re using your own EAM license, rather than one of ours, we do not expire the license. If you want to bring your own Emsisoft Anti-Malware license to use with Kabuto Managed AV, you can do that. We’ll charge you $0.50 for the management, instead of $2.00. There is one downside, which is that we don’t renew the license for you if it expires. 1) Make sure your Default Policy for your Account (Settings page) is set to a Policy that does NOT have Managed AV enabled. 2) Make sure the Customer that you’re installing Managed AV for does NOT have a Default Policy that has Managed AV enabled. 3) Install Kabuto on the machine with Managed AV disabled. 5) Enter your key, and then click “Enable Antivirus”. 6) Restart the device. Within 30 minutes it will install Emsisoft Anti-Malware with your key. 7) All done! You can now freely apply Policies to this Device. Notifications can be adjusted via Settings > Configuration. 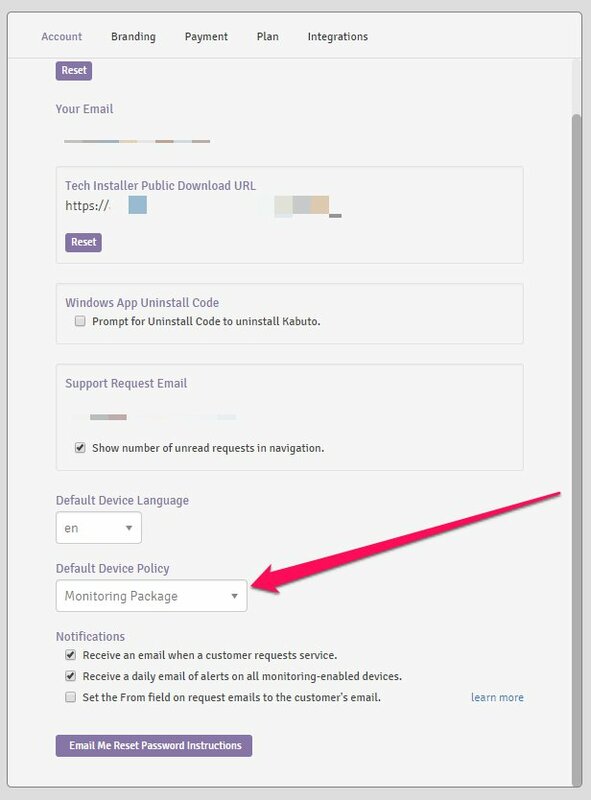 The technician can receive email notifications in two cases: when an existing device owner requests service (“ Receive an email when a new request occurs”) and a daily summary email containing the day’s device trigger events (“ Receive a daily email on new device alerts”). Two different images can be uploaded to custom brand the Kabuto client that device owners see. The first is the Logo which is a banner style image with the dimensions 100x500. The second is the Icon which is a square image with the dimensions 48x48 (this image size is supported on operating systems prior to Windows 8). Both images, if not matching the appropriate size will be scaled to contain the whole image. Additionally, a custom accent color can be specified for the Windows App. To learn more about this, click here. Both images are pulled each time the Kabuto client runs on the device to keep branding consistent and up to date. To upload or view custom branding images, navigate to Settings > Configuration on the Dashboard. If adjusted on the Dashboard, each Kabuto client will import the new information and display it when the device owner requests service. To adjust account contact information, navigate to Settings > Branding. Kabuto’s Online Dashboard gives you an option to set the “From” field in emails sent notifying you of new Requests. This option is preferable if you’re using a CRM that creates a new ticket based on the email’s “From” field. It also enables you to simply click “Reply” when receiving the email to contact the customer. The downside to this option is it may make it more likely that the email is marked as spam, as it is not actually being sent by the customer. The Kabuto Windows agent contains a right-click context menu as part of it’s system tray icon. 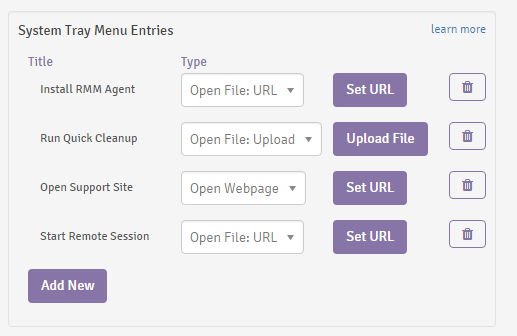 Each entry to this menu can be added via the your Kabuto dashboard, each with three different options: Open File (sourced from File), Open File (sourced from URL), and Open Webpage. Open File: URL will take a file found at a URL and pass that to the Kabuto agent to run. The file must be an executable and the URL must be direct, meaning the filename and extension must be at the end of the provided URL. Open File: Upload will take a file uploaded to the Dashboard and pass that to Kabuto run. The file must be an executable. Open Webpage will open the default browser to the specified URL. Note, the URL must have http:// or https:// to be recognized by Windows operating systems. Below are example use cases of menu entries: Launching an remote executable, Opening your support website, Run a cleanup script, and (not pictured) Start a remote session. Kabuto fully supports Windows 7, 8, 8.1, and 10. The Kabuto Agent can also technically be installed on Windows Server Editions but we do not test as extensively on Server Editions. In addition, Kabuto Managed Antivirus does not work on Server Editions. Download your favorite image editor. We recommend using GIMP. We also have a library of free icons that are modified versions of Font Awesome icons, that you can use if you don’t want to make your own. They’re available as a zip file here. 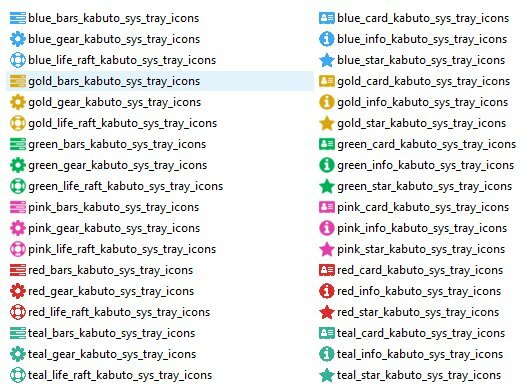 Check to see if Kabuto is still in your Control Panel programs list (if not, just re-install Kabuto).